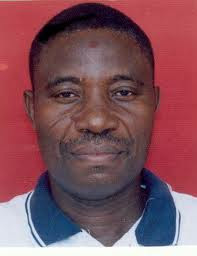 Alhaji Ahmadu Sorogho is the Chairman of the Ghana National Fire Service Council. There is simmering tension in the Ghana National Fire Service (GNFS) following the interdiction of William Brown-Acquaye, the Chief Fire Officer and two of his deputies, Stephen Kandure and Cornelius Woedi. The situation has also affected morale of personnel and this could jeopardize the nation’s preparedness to fight fire if care is not taken. The personnel are accusing Alhaji Amadu Sorogho, Board Chairman of Fire Service Council and MP for Madina-Abokobi for what they call ‘undue interference’ in the day-to-day running of the service. They also alleged that the MP has maneuvered to sidestep senior officers and get Albert Gaisie, as acting Chief Fire Officer of the GNFS. A letter signed by Alhaji Sorogho on Wednesday, October 20, 2010 and titled: “Implementation of final report of investigations into allegations of procurement irregularities at the Ghana National Fire Service- Interdiction”, interdicting the three top officers has been sighted by Daily Guide. A source at the service indicates that the refusal by the officers to recruit about 200 people mainly National Democratic Congress (NDC) foot soldiers into the service may have incurred the wrath of Alhaji Sorogho and that gave him enough impetus to facilitate their exit. Alhaji Sorogho, who refused to talk on the issue, was said to have taken that line of action because he was left out of a certain ‘deal’. The MP, who is virtually running the GNFS as chief executive officer instead of council chairman, is not happy that things are not passing through his desk. There is an allegation that the acting Chief Fire Officer, Mr. Gaisie also has a case when he was a regional director and yet Alhaji Sorogho appointed him. DAILY GUIDE has learnt that due to the situation, the interdicted officers could not even attend the funeral of the late Deputy Group Officer (DGO) Hannah Yawson who fell from the fourth floor of the Cedi House tower in Accra in September during a fire simulation exercise.